As the defining characteristic of our species, our vertebrae are perhaps the most important bones in our body. And now, science and technology have met in a groundbreaking development that could change the way doctors treat spinal injuries. With their new research from the Mayo Clinic in Minnesota, scientists Lichun Lu and Xifeng Liu believe that a new biodegradable polymer bone graft that adapts itself into the appropriate size and shape once planted in the body. The polymer works much like those playful sponges of our childhood — the ones that we dropped in cups of water in order to turn them from capsules into dinosaurs or other animal shapes. Of course, these new biodegradable polymers would serve a much more serious purpose. 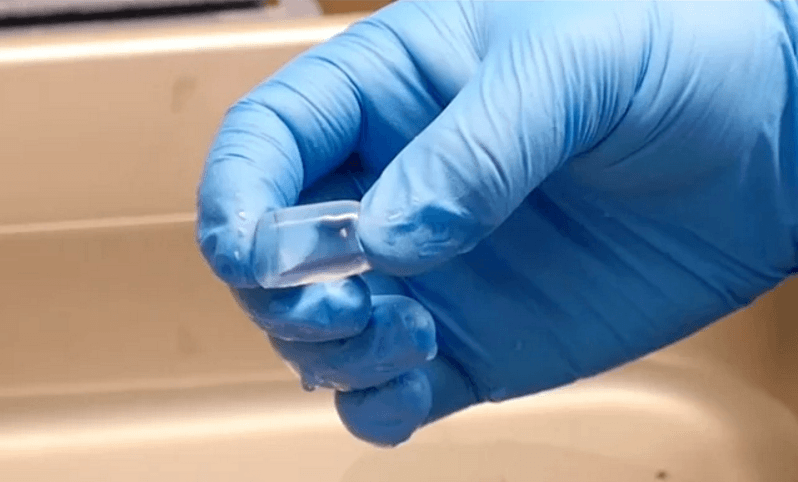 Derived from a dehydrated hydrogel, surgeons would simply plant these capsules into gaps in the spinal cord (resulting from either surgery or another injury), and our body’s fluids would then activate the polymer, allowing them to expand to the proper proportions. Both scientists believe that this new technique will be particularly valuable for cancer patients, as the spine is often affected when cancerous cells metastasize. Currently, in order to address spinal tumors, surgeons are forced to remove large portions of the bone, sometimes even entire discs, leaving gaping holes that then must be filled. Metal spine cages and bone grafts are the present solution to these cavities, but they’re certainly not ideal, especially given the long healing process. But with this new polymer, which could expand in just five to ten minutes, we may have an extremely attractive alternative. If all goes well, clinical trials could commence within the next few years, and the way we address spinal cord injuries could shift forever.